playback for films. 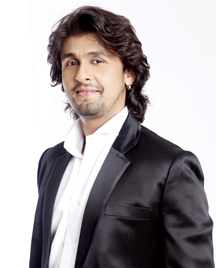 He has proved his mettle as a singer time and again and after all these years enjoys a special position with his fans. What he has accomplished for his forthcoming film Santa Banta Pvt Ltd is beyond anybody’s imagination. He has sung the popular song ‘Tooti…’ in eight different voices. The innovation in a way was Sonu’s idea and the result is so terrific that whoever has heard the recording cannot stop raving about it. Directed by Akashdeep Sabir, the film is produced by Viacom18 Media Private Limited and Cinetek Telefilms Private Limited. Santa Banta Pvt Ltd is set to release on April 22, 2016.